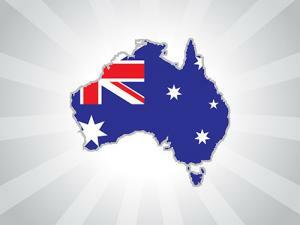 Advance australia.gov.au: Our Own GDS brawl? Our April Newsletter included an article, No Punches Pulled In UK Consultants GDS Brawl, which looked at the UK Government Digital Service (GDS). Now it seems we will be having our own GDS brawl when Paul Shetler from the UK’s GDS becomes CEO of our Digital Transformation Office (DTO). The GDS approach aims to avoid past problems where “Managed as traditional waterfall projects, the big ICT projects have too often ended over priced, over scoped and hopelessly over time.” However, Tom warns that “there is definitely a risk the quite traditional agency level CIO’s will find many reasons not to play ball. “ Apart from resistance to centralizing, he identifies a range of other challenges including procurement problems, the need for a strategic view and a chief architect, security issues, DTO location issues and last but not least, the leadership politics. We wrote about the eGovernment issue in our November 2014 article, What went wrong with the eGovernment and Digital Economy Policy?, where the federal government was being accused of “dragging its feet on the implementation of a raft of digital economy and e-government initiatives”. Maybe the DTO will be the answer. The challenges are huge but at least the DTO will not be dragging its feet.